The Land Rover Discovery simply gets the job done. 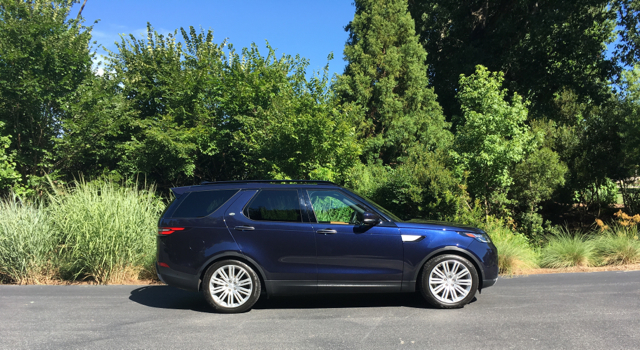 The 2018 Land Rover Discovery offers two engine choices: gas and diesel. 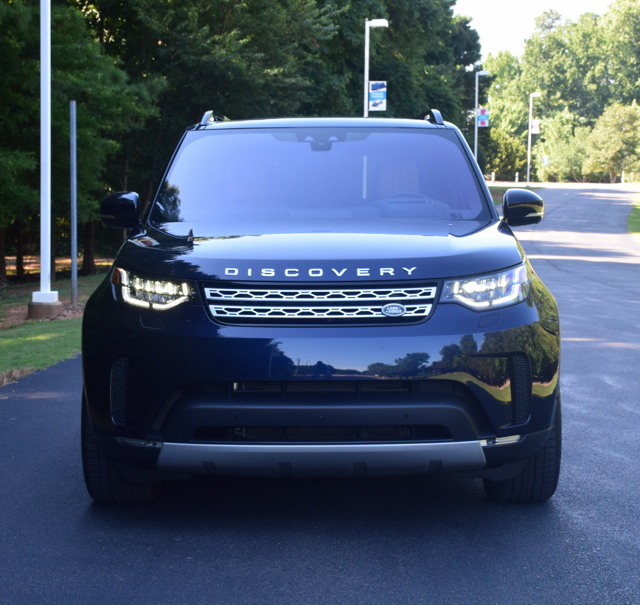 If you’re shopping for a highly capable luxury sport utility vehicle, the 2018 Land Rover Discovery is certainly worth a look. This medium-to-large SUV offers strong engine choices and pairs them with an eight-speed automatic transmission. However, your cost can quickly climb, while smartphone compatibility with Android Auto and Apple CarPlay is non-existent. The 2018 Land Rover Discovery returns virtually unchanged from last year when the current model rolled out. The latest Discovery offers a fresh interpretation on a classic model. The 2018 Land Rover Discovery is offered in three trims: SE ($52,090), HSE ($58,490) and HSE Luxury ($65,490). Add $995 for the destination charge. Add another $2,000 for the turbo-diesel engine. 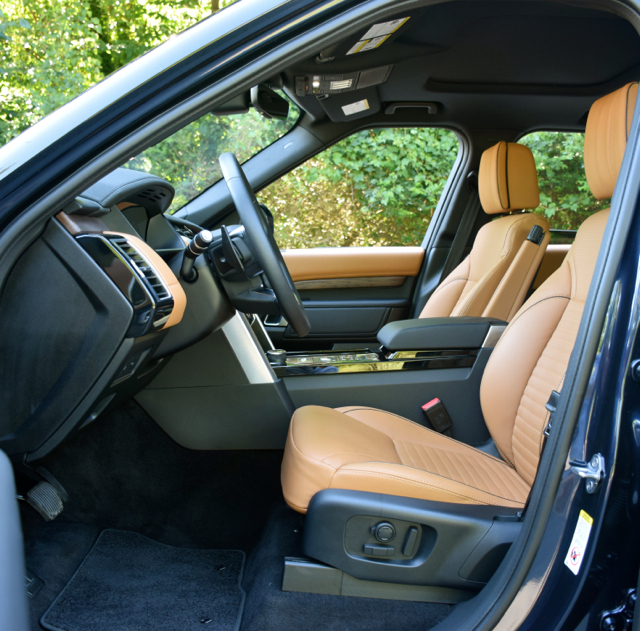 Land Rover says the Discovery seats 5 + 2, an acknowledgment that the available third-row seat is best used as a jump seat. That seat does, however, accommodate adults, but with one important qualifier: short distance travel is just okay. Beyond that, save the seat for the youngsters, but only when needed. The standard equipment list is robust as it includes such items as automatic halogen headlights, power-folding and heated side mirrors with approach lights, 19-inch alloy wheels, a power liftgate and rear fog lamps. Inside, the Discovery SE comes with a tilt steering column, dual-zone climate control, a 10-speaker audio system, Bluetooth and a 10-inch touchscreen display. 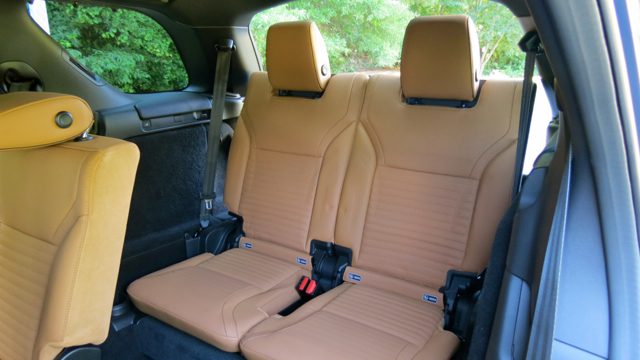 Grained leather seats and power-controlled front seats are also standard. Move up to the HSE trim (my test model) and this one adds LED lights, front recovery hooks, garnishment improvements and an electric sunroof. Inside, the HSE has a power-adjustable steering column, upgraded wood trim, a 10-speaker Meridian audio system, satellite radio, HD Radio, an interactive driver display and additional USB ports (second row). The HSE Luxury adds heated windshield washer jets and front fog lights. 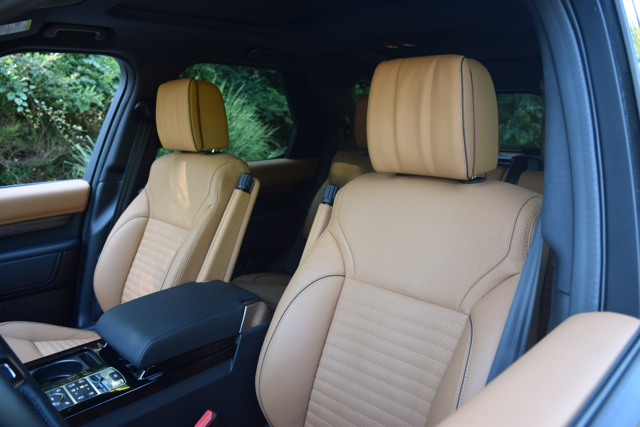 Inside, the equipment roster includes ambient lighting, power-controlled third-row seats, Windsor leather, heated front and rear seats and a heated steering wheel. Manufacturers typically have an assortment of engines and transmissions available when designing a new vehicle. The pair forms a vehicle’s powertrain, delivering what many hope is the right combination of performance, fuel efficiency, reduced emissions and in the case of Land Rover, pulling power. Happily, the choices for Discovery shoppers are quite good. The standard engine is a 3.0-liter supercharged V6 engine with 340 horsepower and 332 pound-feet of torque. It is used in a variety of applications across the Jaguar Land Rover universe with modest increases in horsepower, torque or both evident in some models. Land Rover pairs this engine with an eight-speed automatic transmission. The second engine is a 3.0-liter turbo-diesel V6 with 254 horsepower and 443 pound-feet of torque. It also works alongside an eight-speed automatic transmission. There are a few things worth noting about this engine, beginning with its quietness. Indeed, I didn’t look at the supplied documentation before getting behind the wheel of the Discovery and only discovered it was powered by a diesel once I began my driving. Yes, it is that quiet. The diesel also has ample low-end grunt and supplies a 5 mpg fuel economy advantage over the gas burner. 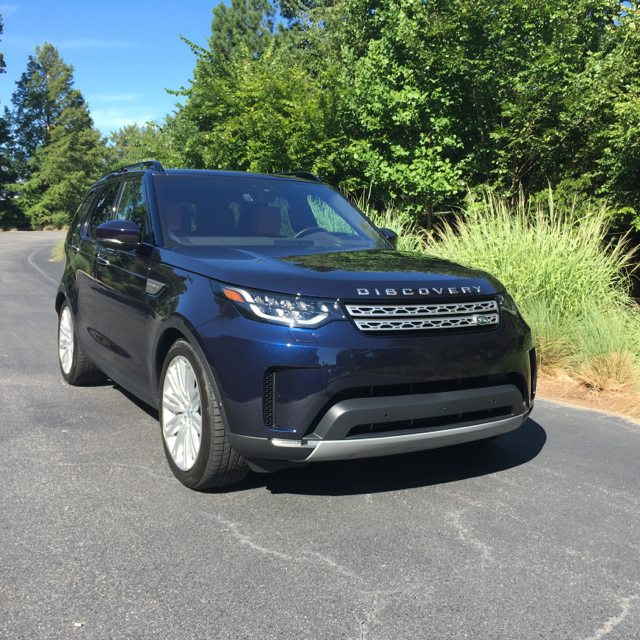 Certainly, the upgrade will cost you more upfront, but the advantages in power, towing, fuel efficiency and maintenance outweigh the cost, especially if you plan to keep your Discovery for many years. The Discovery along with the BMW X5 are the only models in the segment still offering diesels. Competitors such as the Lexus GX, Audi Q7 and the Mercedes-Benz GLS-Class do not. If you’re concerned about higher diesel prices you should know that each of these models require premium gasoline, which costs nearly the same as diesel fuel. Land Rover long ago discovered the confluence of on-road comfort and off-road prowess. It has only gotten better in both departments since the new models arrived on the scene over these past few years. 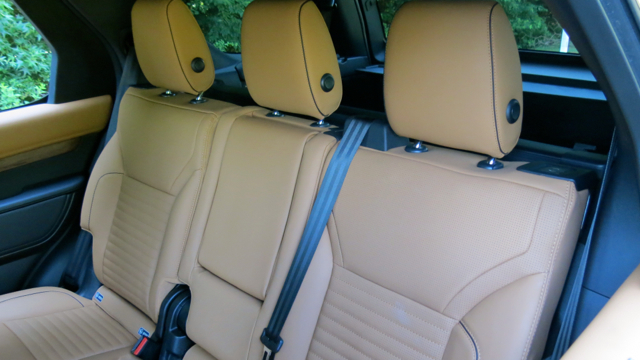 Each vehicle is quiet, rides very comfortably and looks great around town. Pull up to any venue and your Land Rover gets noticed. But it is this model’s off-road chops that many buyers may not fully appreciate. Indeed, most will simply not go off-road, although the capabilities are most definitely there. The current model utilizes unibody construction, which isn’t always appreciated for its off-road capabilities. However, manufacturers such as Jeep (Grand Cherokee) have found that they can build a unibody model that looks great around town while taking it to the off-road less traveled. In brief, unibody construction ensures improved body rigidity and handling over traditional body-on-frame SUVs. The key beyond body build is, of course, four-wheel drive. In this case, Land Rover has such a system in place, including a low-range transfer case. The standard suspension system features a traditional coil-spring arrangement. Typically, though, Land Rover supplies an air suspension system for our review. 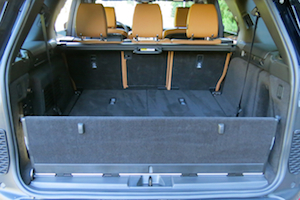 Here, the system adds 1.7 inches of lift to the Discovery’s noteworthy 11 inches of ground clearance. All told this enhanced SUV gains improved approach, breakover and departure angles, along with improved wading depth. You’ll opt for this system if you’re serious about off-roading. Taking the Discovery off-road means utilizing its Terrain Response dial to tackle the kind of obstacle you’ll be facing. This computer-controlled system adjusts the height, the center differential lock and optional rear locker, manages throttle control intervention and adjusts throttle response. Keep an eye on the instrument panel as it renders cool scientific-like graphs to go with these changes. 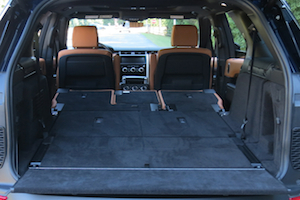 In our earlier overview, we looked at some of the tech features offered by Land Rover in the 2018 Discovery. No doubt, you’ll find a nice selection of audio systems, including Meridian. 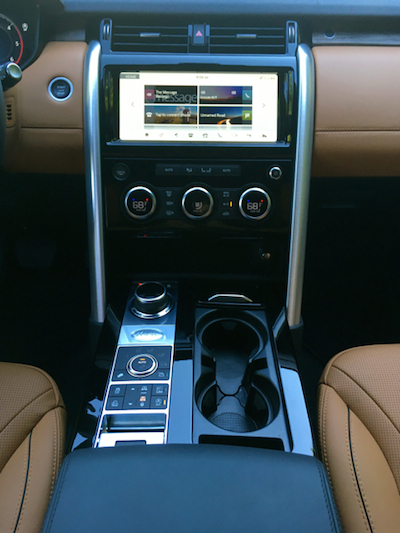 We like that Land Rover is also up on nearly everything else, including Bluetooth, USB ports and its own InControl infotainment system. Naturally, the one void that gets noticed is Land Rover’s lack of Android Auto and Apple CarPlay compatibility. Neither is available as Land Rover’s focus is on its own InControl suite. JLR isn’t alone in not offering either system with any of its models. Mazda, Toyota and Lexus are also holdouts. One reason we’ve heard about the lack of smartphone compatibility has to do with maintaining proprietary information. If the automaker believes a third party might access confidential information about drivers or their technology, then that hesitancy is understood. As for Land Rover, you can still use their navigation system to get you places. The InControl interface is fairly easy to use. 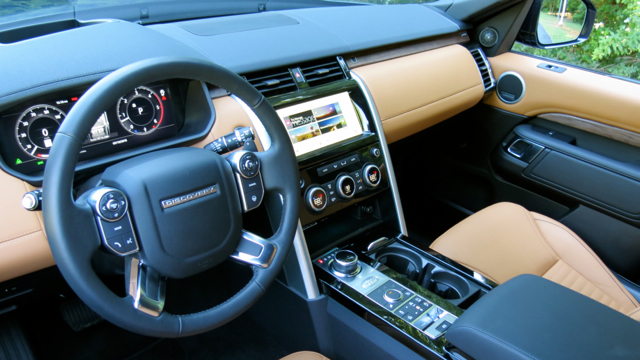 The standard “Touch” system features an 8-inch touch-screen with intuitive touch and swiper controls. Opt for Touch Pro and the 10-inch touchscreen allows pinch-to-zoom gestures, which are ideal for controlling maps, media and settings. Voice recognition is added to this level as well. Some models include Touch Pro Duo, which brings in a second screen for controlling multiple features together. 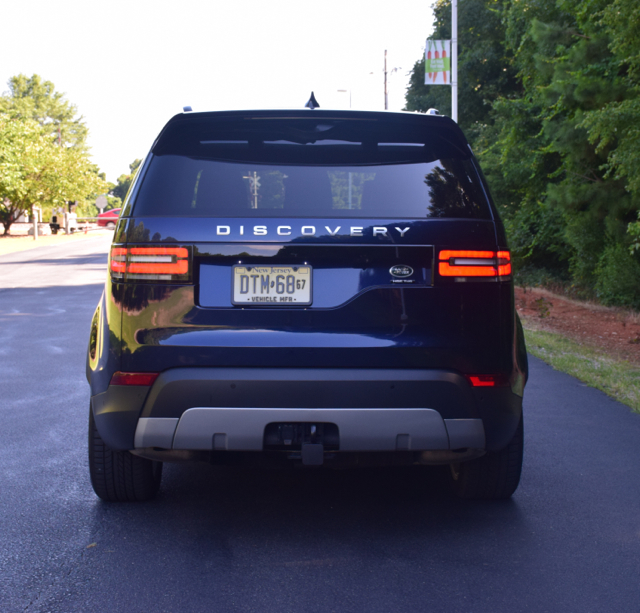 The 2018 Land Rover Discovery brings luxury, style and performance to the segment, and adds an element of off-road prowess that sets it apart from the competition. Most Land Rover buyers won’t be taking their SUVs off-roading, however. But if having that feature available if and when you need it is important to you, then it is hard to beat the Discovery at its game. Land Rover Discovery photos copyright Auto Trends Magazine. All rights reserved.